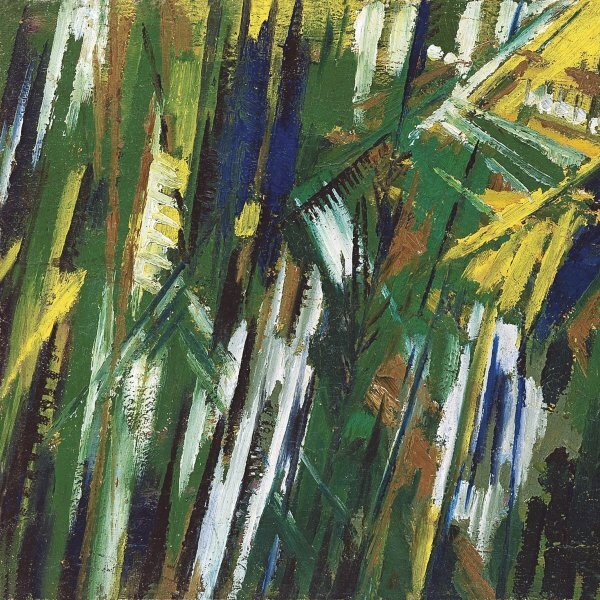 Unlike her fellow Russian avant-garde artists, Olga Rozanova did not travel around Europe, but she was connected with the successive modern movements. When she went to live in Saint Petersburg in 1911, she became involved in the activities of the Union of Youth group and published her first theoretical writings in its almanac, such as the essay on “The Bases of the New Creation and the Reasons why it is Misunderstood” proclaiming the beginning of “a new era for creativity.” Rozanova was also one of the first to strike up a friendship with Marinetti and the Futurists, whose influence was a key factor in the work she produced prior to embracing Suprematism. In April 1914 she was invited to take part in the Prima esposizione libera futurista at the Galleria Sprovieri in Rome, which included, among other works, the painting now in the Thyssen-Bornemisza collection. 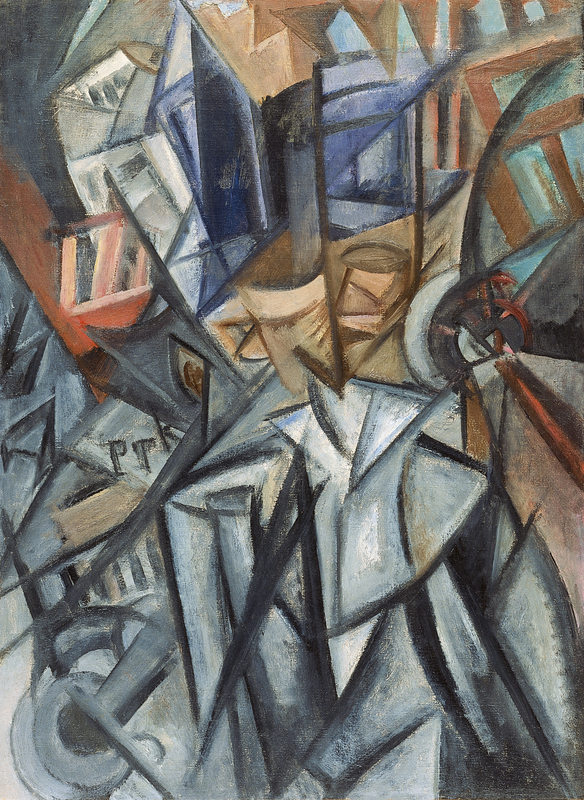 Man on the Street, subtitled Analysis of Volumes, attests to the artist’s interest in urban themes and technological progress, while the marked geometry of the composition is combined with a carefully studied palette, which was always an essential element in her art. As with most Russian avant-garde artists, Olga Rozanova’s painting is a perfect blend of the guidelines of French Cubism and Italian Futurism and images drawn from Russian Primitivism.